Our Quality and Design Dept. engineers are capable of developing the valves and its peripheral equipment to meet international standard and customers' need. Under our severe quality control, every finished valve must to be air or hydraulically tested, to meet or exceed customer's highest requirement. Our experienced sales and engineers team provide instant response and timely help for all kind of inquiries, solutions, and technical support. Welcome to NICO VALVES CORP.
Nico Valves Corp. is a leading industrial valve manufacturer in Taiwan and China for over 20 years. We strive to providing worldwide customers with safe and durable valve products in economical prices. After many years of efforts, we develop unique valve manufacturing workmanship and highest quality standard and are accredited by ISO 900-1, ABS, CE H MODLE, API and other international certifications. 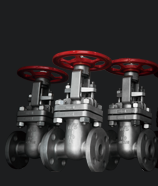 Our product includes gate valve, globe valve, check valve, ball valve, knife gate valve and y-strainer in all common sizes and customized sizes and available for ANSI, JIS and DIN standard.